Your back will love this table. 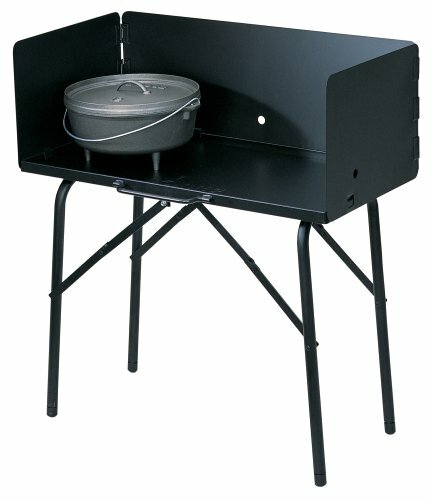 For Camp Oven fans, it brings the action closer to you. Folding legs with adjustable feet, 3 sided attachable 12 inch high windscreen stores under table. Wide stationary handle holds your cooking tools. Steel construction with black high temp finish. Deck thickness of 1/8" steel and overall dimensions of 26" x 16" x 32"